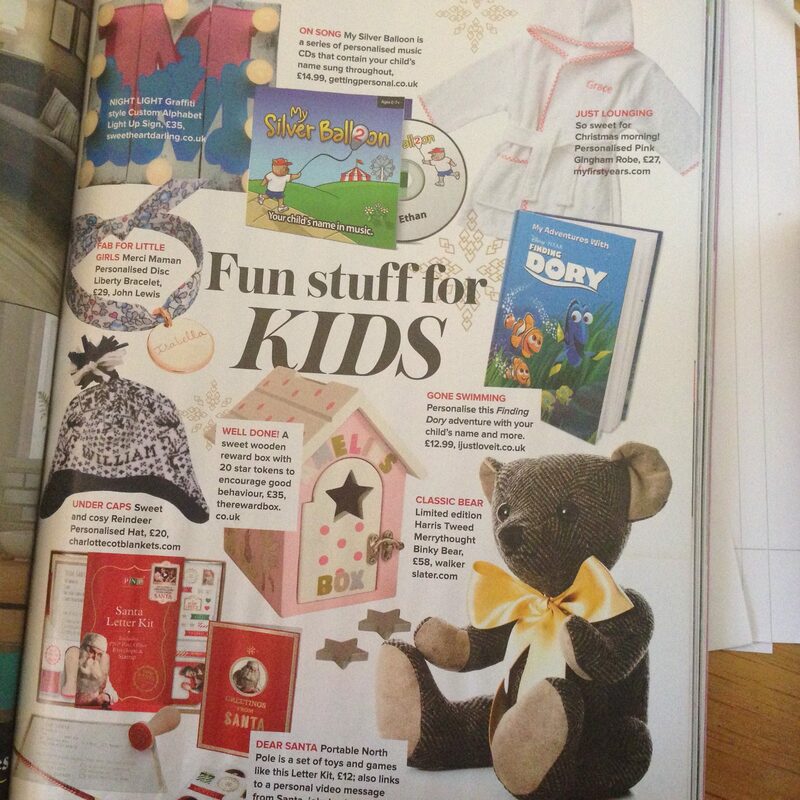 Looking through the wonderful Women and Home magazine again, I noticed the personalised gifts again this time for children. There are some fabulous choices to keep the little ones happy this Christmas. 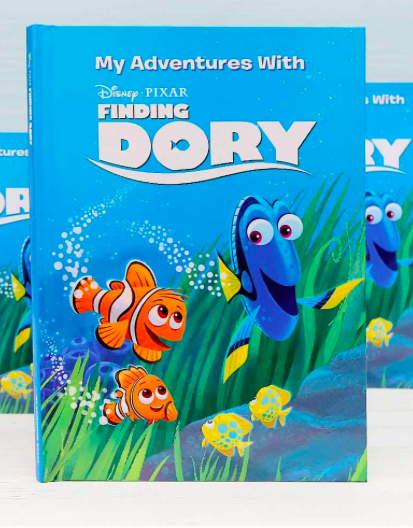 With Finding Dory being such a hit in the summer, your little ones are sure to love a personalised Finding Dory adventure with their own name in it from ijustloveit.co.uk. 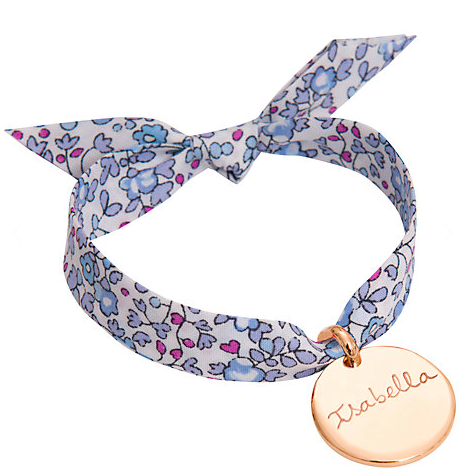 For a pretty gift for little girls, the Merci Maman range of personalised disc bracelets are perfect. I particularly like the pretty liberty pattern found with this bracelet from John Lewis. My personal favourite gift is the cosy little reindeer hat from charlottecotblankets.com, partly as it already has my sons name on it! 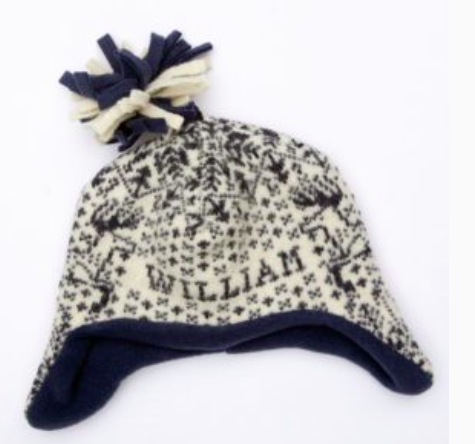 He would have love this snuggly hat when he was a a bit littler than he is now.